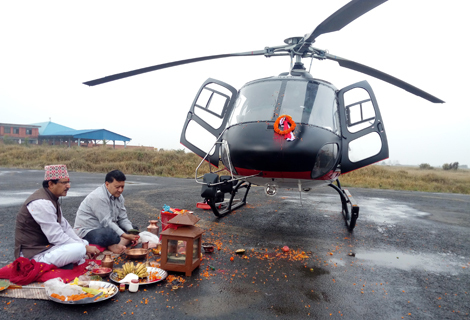 New Helicopter – Summit Helicopters Pvt. 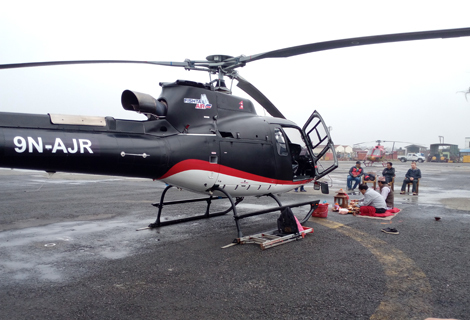 Ltd.
Fishtail Air’s newest helicopter is ready to fly in Nepalese Sky. The chopper with registration sign ‘9N AJQ’ is an “AS 350 B3e” model was brought from Heli Linth, Switzerland. 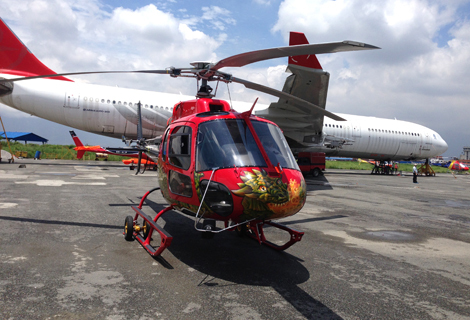 Fishtail Air now operates with 3 helicopters with Bell206 and AS 350 B2 already on its fleet. 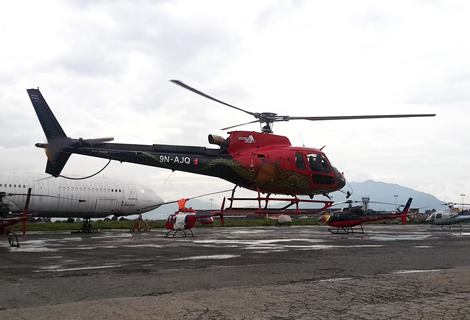 Fishtail Air’s new AS 350 B3e (H125) helicopter has arrived at Tribhuwan International Airport in Kathmandu. 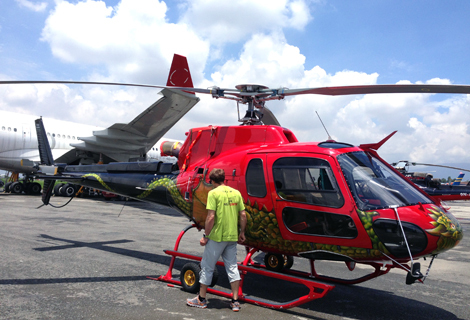 The chopper after being brought from Heli Linth, Switzerland has added new gems in Fishtail Air’s fleet. It will fly in the Nepalese sky with the registration sign ‘9N-AJQ’. 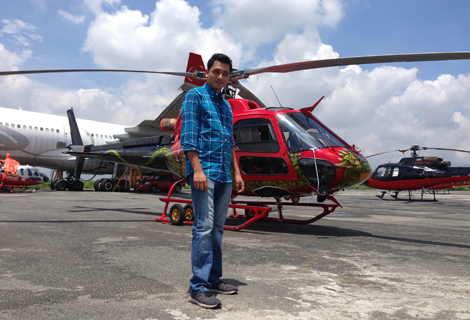 The helicopter is considered as the one of the strongest helicopter and safe in term of risks. Painted with big animation of Dragon, it is nicknamed as ‘Dragon’. 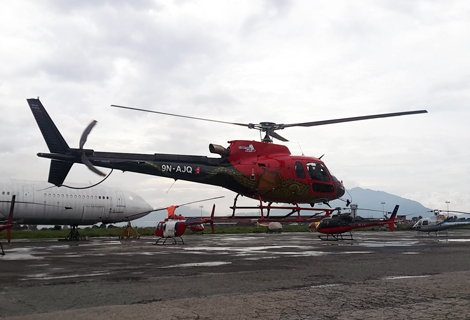 The helicopter that is expected to start it operation in Nepalese sky within couple of days can carry 6 passengers at a time excluding the pilot. 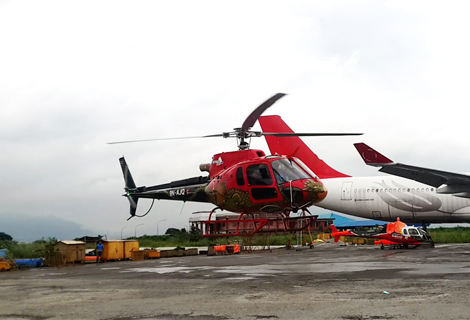 With addition of this helicopter, Fishtail Air now operates with 3 helicopters including Bell206 & AS 350 B2 in its fleet.